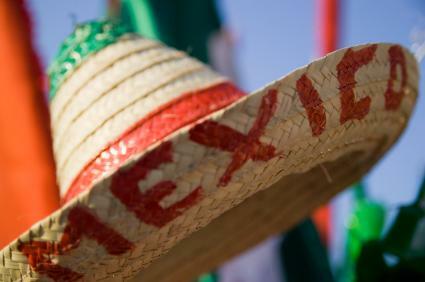 Each year, Mexicans celebrate their independence from Spanish rule on the anniversary of Grito de Dolores, which begins on September 15 and ends the next day. This holiday is a bigger celebration than Cinco de Mayo and is celebrated with plenty of parties and festive decorations. 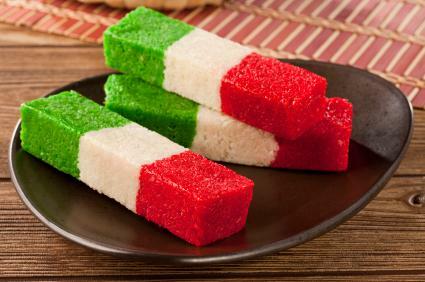 Similar to the United State's Fourth of July, Mexico's Independence Day is celebrated with food, parties and fireworks. 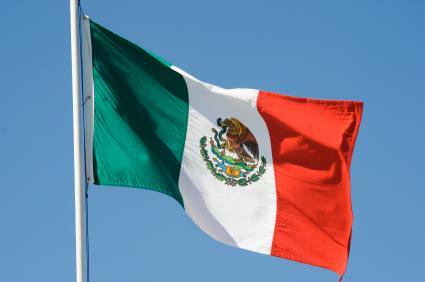 This holiday is the largest in Mexico and is observed by Mexicans all over the world. On September 15 at 11 p.m., the eve of Independence Day, the President of Mexico rings a bell from the balcony of the Mexican National Palace. He yells to the crowd below and they respond by saying Viva. This goes on until after a third time, everyone yells "Viva Mexico." The people then wave flags and ring noisemakers. The Mexican anthem is sung and fireworks are set off to light up the sky. Music is another big part of the celebration. Mariachi bands can be found playing traditional Mexican music while people sing and dance. While these elements are traditional in Mexico, the holiday is not celebrated the exact same way everywhere. People all over the world can still celebrate this holiday by incorporating traditional Mexican elements into their own celebrations. In Mexico, you will find street vendors selling items on almost every corner. These items include silly string, confetti, whistles and toys. Buildings, cars, streets and houses are all decorated for the occasion. Traditional Mexican costumes are another part of the celebration. People can be seen in traditional native clothing and as well as in sombreros. Break the piñata: Fill a piñata with candy and small toys and have everyone take a turn hitting it with a stick while blindfolded. Mexican hat dance: Place a sombrero in the middle of the floor. Have guests make a large circle around the room while holding hands. When the music begins, everyone walks sideways. Call out the name of one person and have them leave the circle and walk into the middle to dance around the hat. Repeat this until everyone has a turn to dance around the hat. Pass the sombrero: This games puts a spin on the game Hot Potato. Have guests stand in a circle. Begin playing music and have guests pass around a sombrero. When the music stops, whoever is holding the hat is eliminated from the game. Mexican eating contest: See who can eat the hottest peppers in this eating contest. You can have a range of chili peppers for this contest and have guests work their way up to the hottest without taking a sip of water. Limbo: All you need for this game is a stick and two poles. Balance the stick on the poles and have people take turns going under it. Lower the stick after each time and if anyone touches the stick while going under, they are eliminated. You can play Mexican music during the game to add another element of fun and get people into the game. The perfect compliment to any Mexican Independence Day celebration is fireworks. The sky is lit up on the eve of Independence Day each year to celebrate Mexico's independence. This is when the real celebrating begins and people enjoy the meaning behind the holiday by indulging in a variety of treats, music, and drinks. The celebration continues onto the next day when people enjoy a variety of activities, including a parade.